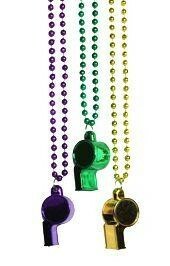 Our 42 inch better throw beads come with all sorts of fun medallions. 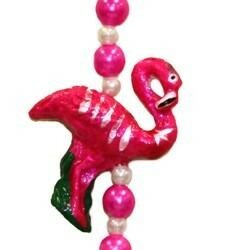 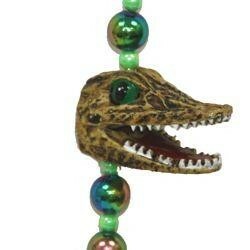 We have animal themed beads, casino themed beads, and beads for the kids! 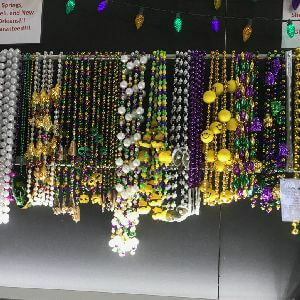 |< << 1 2 3 >> >| Displaying 1 to 20 of 48 Items Found. 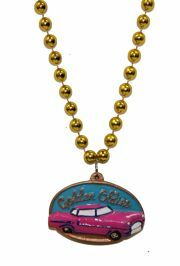 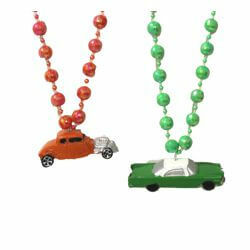 This hand-strung specialty bead has 1 - 3-Dimensional medallions depicting antique cars. 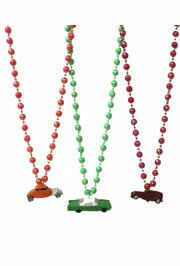 The colored beads make it fun for children and car collectors. 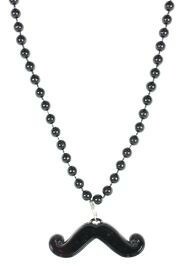 42in hand-strung red and black beads with silver spacers. 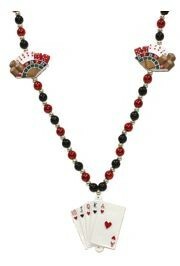 This royal flush casino necklace features a central medallion of playing cards with a royal flush. 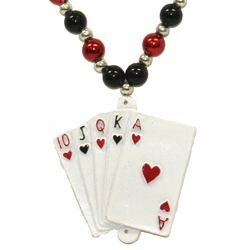 The 2 smaller medallions feature a royal flush, a pair of die, poker chips, and part of a roulette wheel. 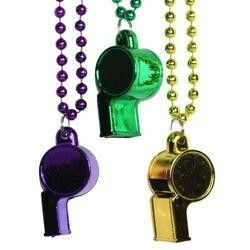 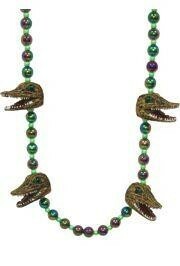 They're great for Mardi Gras parades and casinos. 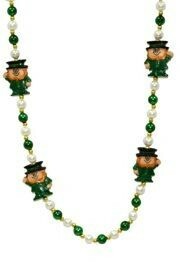 A 42in hand strung necklace with 4 leprechaun medallions and with white pearl and green beads. 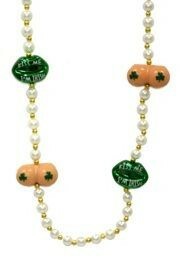 This is perfect for St. Patricks Day parties and parades. 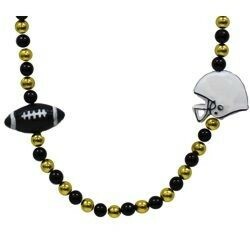 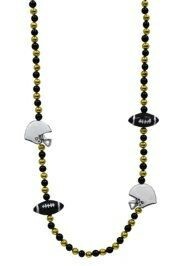 This necklace is perfect for sports fans. 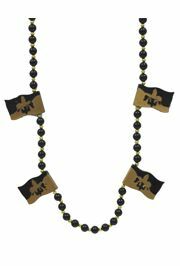 It has 4 in-line medallions: 2 black and white footballs and 2 black and white helmets. 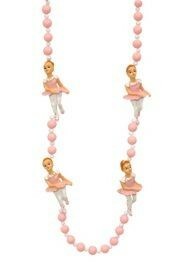 This necklace has 4 pretty ballerina in-line medallions. 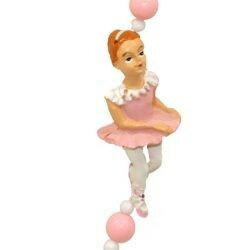 It is a perfect bead for the young dancers out there. 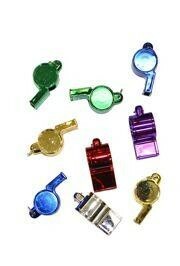 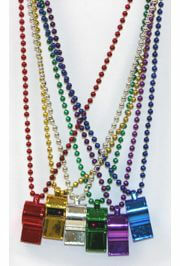 Give them away as party favors at girls' birthday parties. 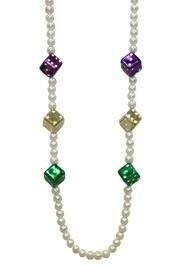 This specialty hand-strung bead hangs about 21in. 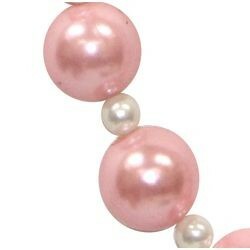 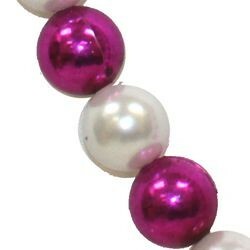 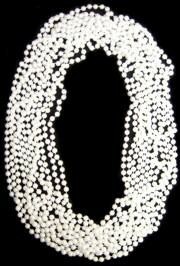 The large 18mm round beads make it stand out. 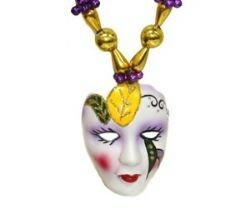 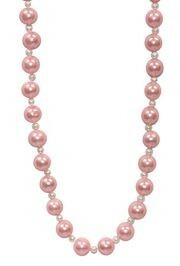 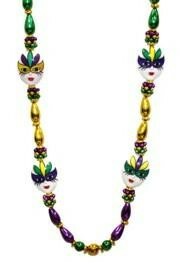 It is perfect for Mardi Gras parades and special occasions like weddings and bachelorette parties. 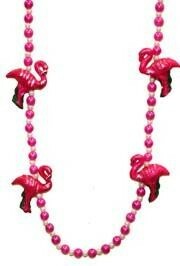 The hot pink beads make it appropriate for breast cancer awareness also. 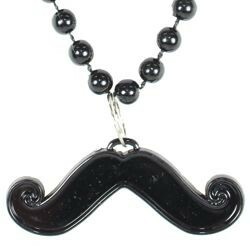 This novelty bead is great for all the mustache-lovers out there. 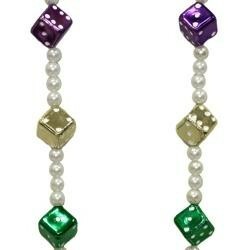 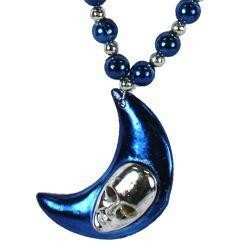 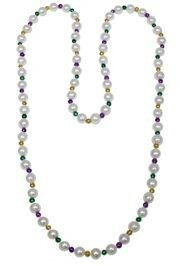 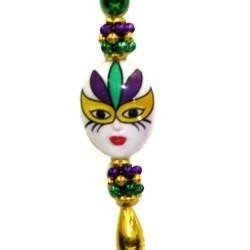 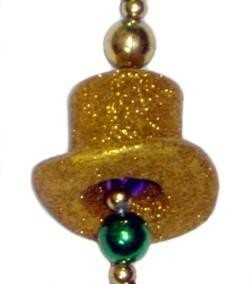 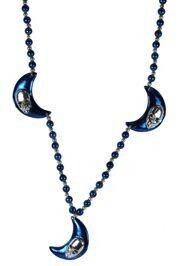 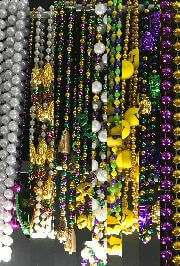 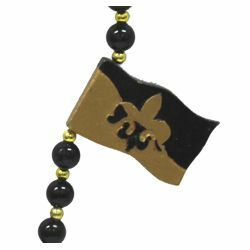 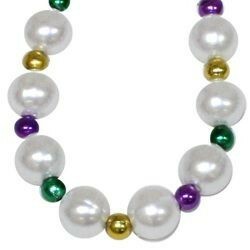 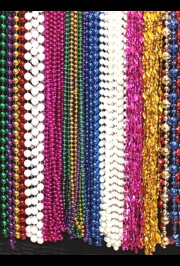 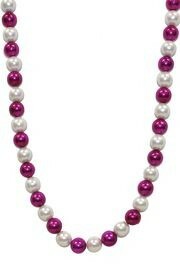 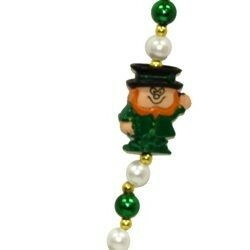 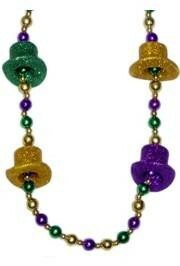 It makes a great Mardi Gras throw bead and can be used to celebrate "November"; bringing awareness to men's cancers.